Toddle Tots CIC- a Scottish CIC for St Andrews day - little legs on big adventures! Gemma Scott and Marion McDonald are founders of this Scottish CIC and are passionate about getting children outdoors and moving through play. After working with young families over a number of years – and having young children ourselves – we recognised that many parents struggle to fit outdoor play into their week, for many different reasons. strengthening relationships within the family and peers. We live and work in a deprived area, where families often struggle to access affordable leisure activities. One of the kids’ favourite activities together is a litter pick where they love to compete to fill their bag first. We knew from the outset that we wanted our local (and wider community) to benefit. We considered running as an unincorporated association and did for a very short time, but realised quickly that we wanted to trade to be self-sustaining in the long-term, and the CIC structure was a great fit to formalise our social enterprise without having to take a further step back that a charity structure would require. Families can join us at the hub for a bowl of cereal and a cuppa before warming up and setting off for a two-hour toddle of between 1 and 2 miles (although only ever what the slowest toddler is capable of). On the way we have ‘Bookbug’ on the go. This involves songs, rhymes and actions, with a story and snack stop about halfway through. This makes it easier for children to attend who find it difficult to focus for a regular indoor session that would take place mostly sat down for up to half an hour. We return to the hub afterwards for another warm cuppa and families can eat a packed lunch they have brought, or have some more cereal, as we share a meal. 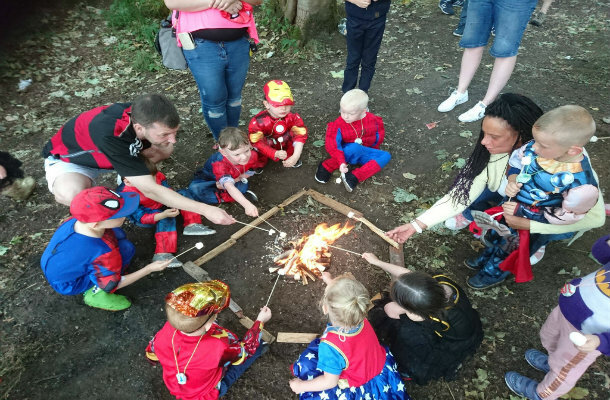 As well as benefiting from the activity itself, families have told us they really value the social interaction for both adults and children, and that it has made them think differently about how to fill their spare time. 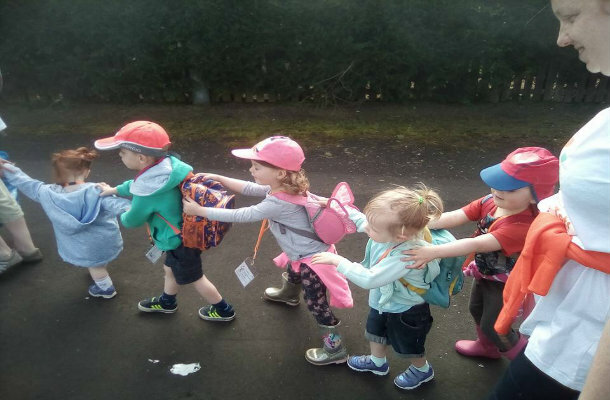 We love seeing the photos that the families send us on social media of them enjoying their own mid-week toddles, recreating some of the things we have tried as a group. To generate income to support our social activity, we are developing the party strand of our business. Families can hire our play leaders to lead their children and their friends on an outdoor adventure to celebrate their special day. 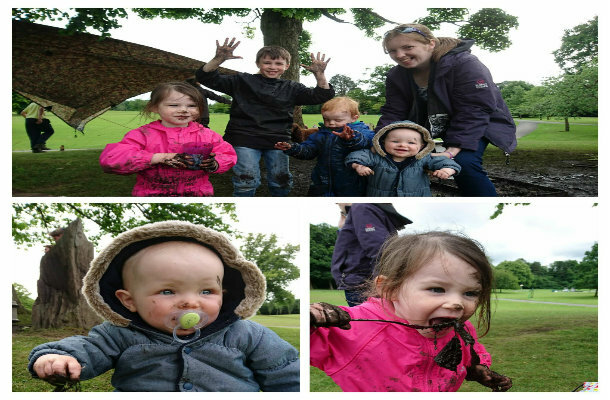 We love doing this because it reinforces our ethos that outdoor play can be really, really good fun, and by showing the children how much fun they can have with a stick or some mud, we can also keep our overheads low and reinvest in the enterprise. Another real positive is that we get the chance to meet with a number of families who might not otherwise engage with us. We are very excited to develop as we’re still in the very early stages and dependent on our initial grant funding. We have some great ideas for other revenue streams and it’s a challenge to prioritise at times but we can’t wait to make great things happen!